I know, I know… who cares about bullet weight? Most people could casually enjoy shooting for years without paying any attention to that little number with the “GR” after it on the boxes of ammo they buy. But you wouldn’t be reading this if you were content with being a mere “casual shooter”, would you? It’s true that much of the time, bullet weight matters very little as long as you’re using the right caliber. On the other hand, in order to get the most out of your firearm for almost any application outside of casual plinking, bullet weight becomes an important variable that can have a major impact on factors like ballistics, accuracy, and recoil. 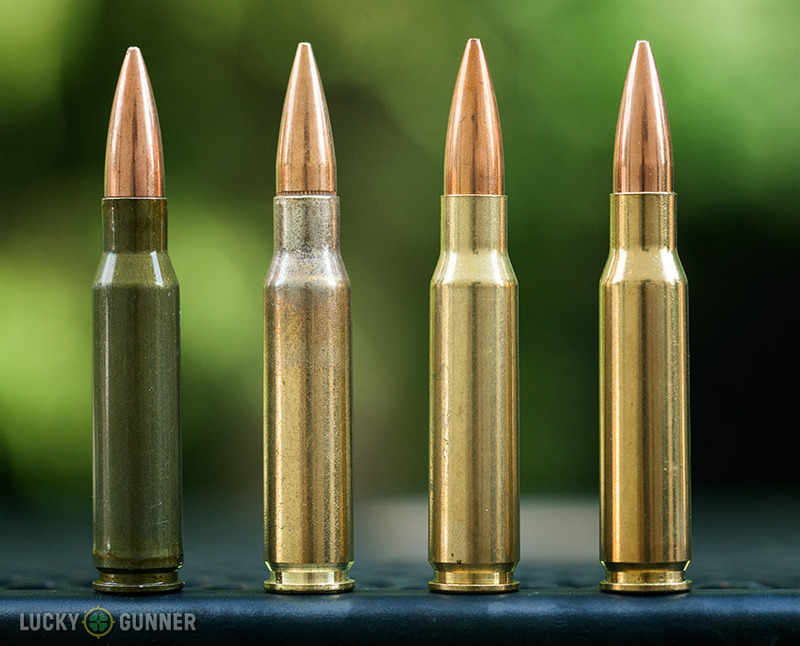 So how do you know which bullet weight is right for what you want to do? There’s usually no easy answer to that question, but if the issue of bullet weights is a complete mystery to you, here are a few basics to get you pointed in the right direction. Bullets are measured in a unit of mass called grains (abbreviated “gr.”). One pound is equal to 7000 grains, and there are 437.5 grains in an ounce. Bullets can weigh anywhere between 15 grains for the lightest 17 HMR bullets all the way up to 750 grains for the heavier .50 BMG rifle loads. From left to right, the bullets in these .308 Winchester cartridges are 147 gr., 147 gr., 168 gr., 175 gr. Can you tell their weight just by looking? Yeah, me either. You can’t determine the exact bullet weight just by looking at a cartridge, so most factory ammunition has that figure printed on the packaging. Grains are also used to measure propellant, or gunpowder (not to be confused with individual propellant particles, which are also sometimes called grains). The amount of propellant used in a load is not typically indicated on a box of ammo, and this kind of information is usually only relevant for people who hand load their own ammo. On a box of ammo or online listing, grains nearly always refers to the bullet and not the propellant. If the bullet weight is not listed on the box, there is often some other clue that can help you figure it out. This is sometimes the case with military surplus ammo, or factory ammo made to mimic a military load. For instance, I have a box of .308 Win. ammo made by CBC. There’s no bullet weight mentioned, but the box is labeled as “M80 ball”. A quick online search shows me that the standard military M80 ball cartridge uses a 147 grain FMJ bullet. Mystery solved. 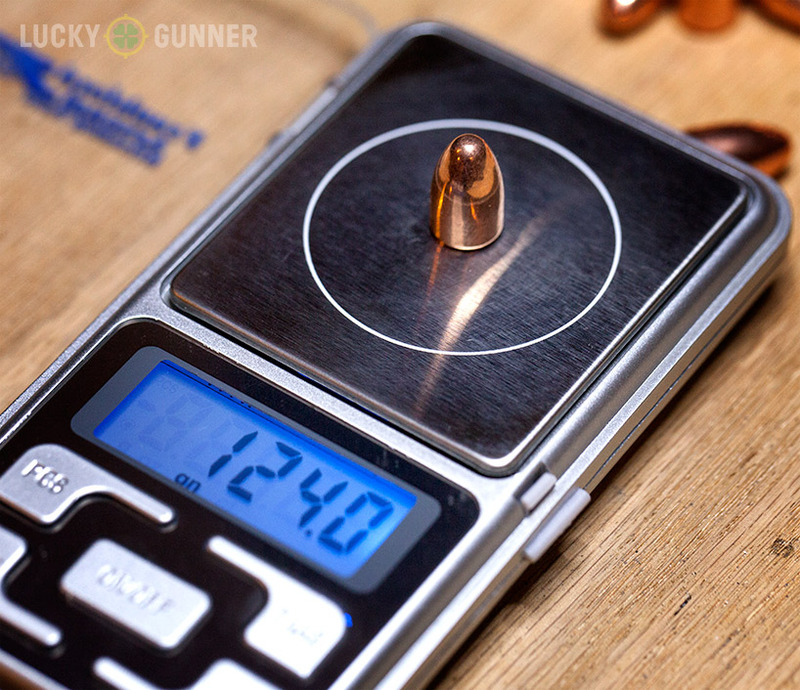 Once you know how to identify the bullet weight, you’ll still need to get a feel for what options you have. For each caliber, there is a range of common bullet weights that will fit most people’s needs, and then a few loads available outside of that range for more specific applications. For instance, most 9mm loads are either 115, 124, or 147 grain, but occasionally you might see a 95 grain, 110 grain, or some other oddball load. A 9mm bullet weighing exactly 124 grains. 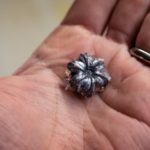 If you have an idea of the typical range of bullet weights for the caliber, then you can tell whether any given load falls more toward the heavy end or lighter end of the spectrum. Usually, lighter bullets will have higher velocities than heavier bullets of the same caliber. Intended application and personal preference will dictate whether you need a fast light bullet, a slow heavy bullet, or something in between. Oh, my mistake. We’re all out of magic boxes. I did say there weren’t any easy answers here. In lieu of a magic box, here are a few (very) rough guidelines for choosing the right bullet weight. Plinking: Bullet weight doesn’t matter much for casual plinking. Just buy whatever ammo is cheapest and functions well in your gun. Shooting for Maximum Accuracy: Bullet weight can play a huge role in accuracy for a couple of reasons. First, sometimes a specific gun just “likes” bullets of one weight over others. The precise reasons are not always easily explained, but with some experimentation, you might find, for example, that your particular Glock 22 is always a little more accurate with 180 grain .40 S&W loads than 165 grain loads. You might be able to pick up some hints about good loads from other people who have a lot of trigger time with the same gun, but sometimes trial and error might be the only way to figure it out. For long range rifle shooting, the tie between bullet weight and accuracy is less mysterious, but still potentially confusing. Heavier bullets are less susceptible to being blown off course by the wind, but if the bullet is too heavy, it might not have enough velocity to remain stable at the desired distances. The best bullet weight to optimize the balance for maximum accuracy will also depend on barrel length, twist rate, and a ton of other factors that we can’t cover here. If you’re serious about pursuing pinpoint accuracy, just ask a long range shooting enthusiast for help and they’ll be more than happy to bore you to tears enlighten you with all the exciting details. Self-Defense and Hunting: This is a tricky one. Bullet weight is just one of many factors that determine a load’s effectiveness against living targets. For any given caliber, some bullet weights have a better track record than others, but it’s only part of the story. Expansion and penetration characteristics are more important than the mere numbers representing bullet weight, velocity, or caliber. Try to find ballistics gelatin tests or real world reports of a specific load’s performance rather than relying too much on bullet weight as a sole indicator of it’s efficacy. 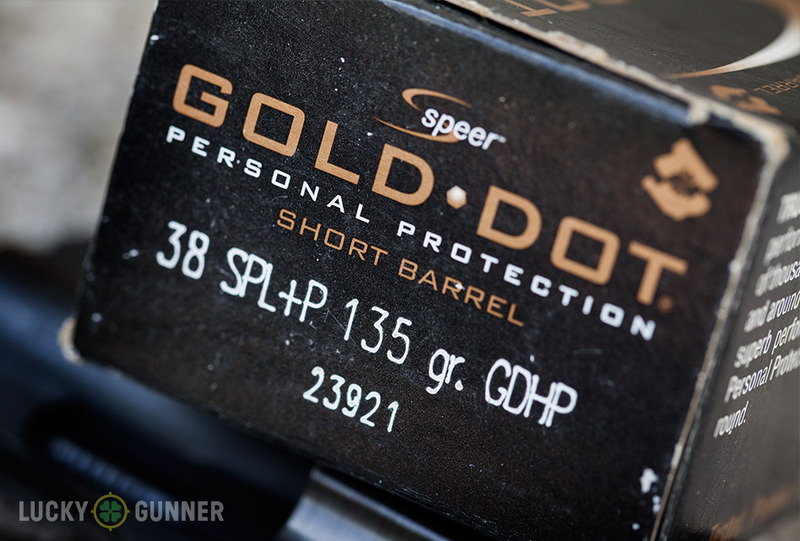 This Speer Gold Dot .38 Special +P ammo is designed to maximize ballistic performance from short barreled revolvers. The choice of a 135 grain bullet was just one of many factors that Speer took into account when developing this load. Subsonic/Suppressed: For optimal performance with a sound suppressor, subsonic ammunition is best. These rounds travel slower than the speed of sound, and create minimal noise when fired through a good suppressor. A few calibers that use heavy bullets, like .45 ACP, are almost always subsonic regardless of bullet choice. Other ammo is only subsonic when used with bullets that are heavy for the caliber. For example, the popular .300 Blackout rifle cartridge makes a loud supersonic crack with a factory 125 grain load, even when a suppressor is used on the gun. To get the “silent but deadly” effect that .300 BLK is known for, it must be fired with the heavier 220 grain bullets which travel at slower subsonic velocities. 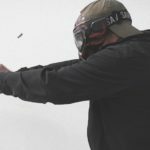 Bullet Weight vs. Recoil: A lot of people intuitively believe there must be some link between bullet weight and recoil. If I want lighter recoil loads for my handgun, I should choose a lighter bullet weight, right? If the lighter bullets were pushed to the same velocity as the heavier bullets then simple physics would dictate that the recoil impulse would be reduced. But as I mentioned earlier, lighter bullets are usually loaded to fly at greater velocities in order to make up for their low mass. In fact, a high velocity light bullet might even have more recoil than a heavier bullet that’s moving slower. Or… the heavier bullet could have more recoil depending on the load. For example, if the cartridge has a fast burning propelllant, the recoil could hit you all at once, translating to a sharp snap against your hand or shoulder. A slow burning powder might distribute the recoil force over a longer period which feels like softer recoil. There is really just no way to determine what recoil is going to feel like by looking at bullet weight alone. Does Bullet Weight Even Matter? If this is the first time you’ve given any thought to bullet weight, you probably still have a lot of questions. You might even still be doubting whether bullet weight is something worth paying attention to at all. 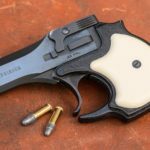 The big takeaway is that bullet weight certainly matters, but it’s rarely a reliable sole indicator of whether a given load will fit your needs. At the end of the day, it’s helpful to know what bullet weights are available for your favorite calibers, but you’ll probably have to do some additional digging to find out how each of those bullet weights are used.